A global cap and trade market now seems imminent. But are we creating a monster we can't control? Judging from the flood of press releases in recent months announcing cap and trade schemes for carbon emissions, we may have reached a watershed moment. A global carbon trading market appears to finally be emerging, and this will mean trillions of dollars of carbon derivatives traded daily. The financial windfall is expected to be enormous. 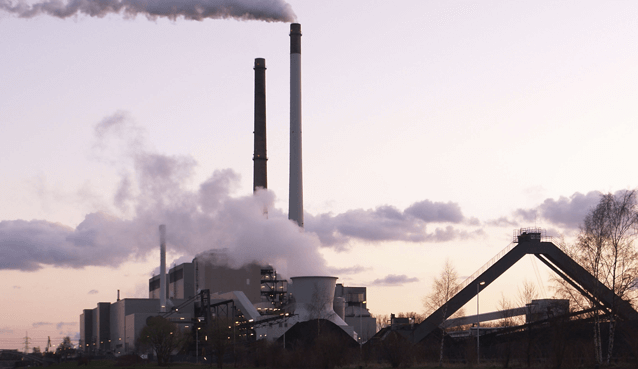 According to Point Carbon, a carbon consultancy owned by Thomson Reuters, the carbon derivatives market is estimated to reach $3 trillion by 2020. That would make the carbon market larger than the subprime mortgage market and hedge fund industry combined – before the 2008 financial crisis. Already, carbon rights are issued and traded in more than 30 markets, without common quality standards, effective regulatory oversight, almost no transparency and varying degrees of verification. The perils of carbon derivatives have led to comparisons with subprime mortgage derivatives that were at the root of the financial crisis. But carbon derivatives are even riskier because carbon is not a tangible asset. Unlike holders of mortgages who can claim physical homes, carbon investors acquire rights to … well, air. Tracing air back to a specific issuer or a country of origin is a huge challenge. And since carbon rights are not printed on paper, but registered electronically, there’s a real risk that registries can be hacked and carbon stolen. Reports of fraud and malfeasance tarnished European carbon markets that remain the world’s largest. The European Commission does little to police it: a Belgian court denied an Italian manufacturer’s request to enjoin the commission to identify the entities that had stolen its carbon permits from the registry. Wall Street anticipated that President Barack Obama’s election would boost the carbon market. New players and leading financial firms invested and acquired businesses to issue, register, audit, certify and trade carbon rights. But the immediate turmoil of the 2008 financial crisis supplanted the long-term need to reduce carbon emissions. Meanwhile, the continued economic, social and political ramifications of uncurbed carbon emissions are rekindling countries’ interest to act, with Australia playing a key role. Already, in 2012 Australia and Europe agreed to develop a two-way linked carbon emissions trading system. A joint Chinese-Australian press release on March 27 announced the development of carbon trading markets “as a first step towards a broader Asia-Pacific carbon market.” Government authorities confirmed that New Zealand, parts of Canada and California would join the regional initiative. Only weeks after this watershed announcement, South Korea announced that it too would adopt a national carbon cap and trade scheme, adding momentum to the initiative. China’s carbon trading pilot program will occur in two provinces (Hunan and Guangdong) and five of China’s largest cities (Beijing, Chongqing, Shanghai, Shenzhen and Tianjin). The seven pilot cities and provinces have a total population of 250 million people. That’s 10 times Australia’s population and amounts to twice the carbon emissions covered by Australia’s trading system. All of this activity around cap and trade in the Asia-Pacific region has renewed efforts in North America. California, the only American state with a mandatory cap and trade scheme, announced on April 19 that it would link its carbon markets with Quebec and expand joint investments in low carbon technologies. Later, during an official visit on July 10, Chinese and American government officials announced that the two countries would jointly develop carbon-capture technologies and take other steps to combat climate change. That announcement came only days after Obama’s historic speech on climate change at Georgetown University on June 26. And on July 31, officials in California and Australia announced they would work to link their respective carbon markets. Business is ready to reap the rewards of this new financial frontier. Firms such as Bloomberg and Thomson Reuters have acquired carbon businesses and developed carbon products and services for traders. Financial institutions and hedge funds will trade to see profits grow. But few will immediately profit more than Atlanta-based IntercontinentalExchange (ICE). Founded in 2000 by the who’s who of oil, gas, and commodities trading, ICE rapidly became a leading owner and operator of exchanges trading energy commodity derivatives. Benefiting from a loophole that virtually eliminated all regulatory oversight, ICE morphed into a multi-billion-dollar cash machine and went on a global buying spree, recently acquiring the New York Stock Exchange Euronext. ICE is now positioned to become the trading platform of preference as the momentum for cap and trade grows. While governments have their eyes set on the next United Nations Climate Change Conference in Paris in 2015 with a potential global agreement, they must be mindful of the recent economic and social havoc caused by poor regulatory oversight. Wall Street will not wait to flood the market and our portfolios with unregulated carbon derivatives that could easily turn toxic. If we don’t want to pay for others’ financial recklessness, the industry’s opaque veil needs be lifted: a new body of rules to oversee carbon derivatives and the industry is needed. Otherwise, we risk having a bitter replay of the subprime mortgage crisis, but on a much larger global scale.